President Trump speaks on border security from the Oval Office of the White House, March 15. This past weekend, while most of us were spending time with our friends and family or enjoying some restful downtime, the president was holed up in the White House watching TV . . . and tweeting about it. Even though Donald Trump has a wife, an adolescent son, nine grandchildren, and the vast resources of the federal government at his disposal, he chose to spend Saturday and Sunday with his only true friends — his burning resentment and Fox News. 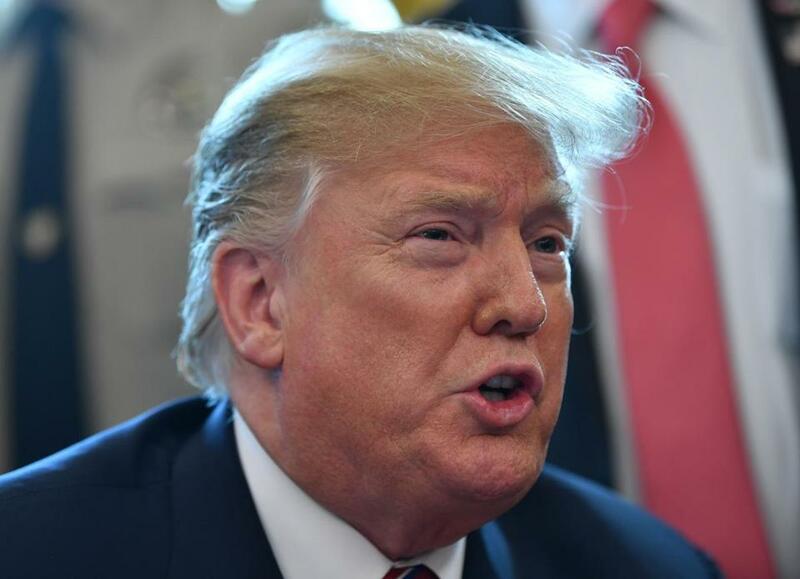 Trump’s latest tirade began Saturday morning with yet another series of tweets attacking Senator John McCain, who died last year. The president went after McCain, whom he derided for allegedly being “last in his class” at the Naval Academy, for his 2017 “thumbs down” votes against repealing Obamacare, and for turning over what he calls the “fake and discredited” Steele dossier to the FBI. When he wasn’t disparaging the memory of a war hero, Trump was accusing the “Obama-era team” at the FBI, the Department of Justice, and the CIA of “working together to Spy on” him. 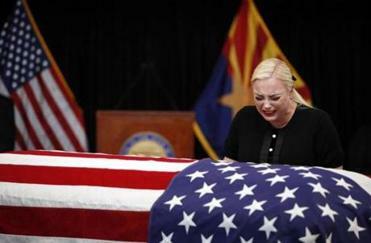 The daughter of John McCain fired back at President Trump after he tweeted disparaging comments about the late senator this weekend. He also attacked “Saturday Night Live” for “spend (ing) all of their time knocking the same person (me), over & over, without so much of a mention of ‘the other side,’ ” and openly wondered whether the Federal Election Commission or the Federal Communications Commission should look into this affront to the president. He criticized a “Democrat” union leader — David Green — for the closure of a General Motors plant in Ohio; accused Democrats of “trying to steal a Presidential Election”; retweeted a far-right conspiracy theorist’s fear-mongering tweets about the MS-13 gang; and singled out a couple of Fox News hosts for not being opinionated enough. The only thing unusual about Trump’s weekend temper tantrum was its length and intensity. None of these peevish, dreadful, immature, and antidemocratic broadsides are inconsistent with this president’s actions over the past two years. This is who the president is: a small, petty, insecure man who uses his vast power — and social media platform — to lash out at his perceived enemies. Indeed, for most Americans, this is just Trump being Trump and an episode hardly worthy of note. The president’s instability and inappropriate behavior are baked into how many of us think about him. Like most Americans, I usually just read the president’s tweets, shake my head, and go back to whatever more important things I should be focused on. And yet, every once in a while, we need to stop and say: None of this is right. This is not the example that the president should be setting for the country. There is no alternative universe where it’s appropriate for the president to threaten comedy shows with government investigations; call former vice presidents dumb; denigrate deceased public servants; label our constitutionally protected media an “enemy of the people”; spread misinformation and conspiracy theories; or baselessly accuse political rivals of committing crimes. We must continue to demand that those who are encouraging the president’s behavior — complicit Republicans in Congress, the sycophants at Fox News, and the enablers on the White House staff — be held accountable for their role in this national degradation. We must speak out against this appalling rhetoric. We must continue strive to be better than the worst impulses of our president. I’ve lost count of how many times over the past nearly four years that I’ve written words to this effect and pleaded that we never accept this as normal. It’s like trying to scoop out the ocean with a teacup, but it’s still necessary.